The following events were listed in “Google News” during the week of September 17-14 under the key words “International day of peace” and “Journée internationale de la paix.” It is possible that there were articles in other local languages that are not listed here. For events elsewhere in the world, click here. 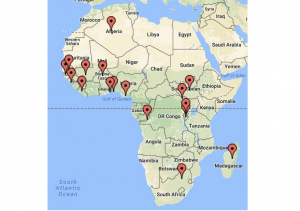 As seen on the map above, there were articles about 16 events in 15 African countries. Burkina Faso: The Association of veterans, retired military, widows and orphans of war marked the event with a walk for peace. Who better than them can appreciate the value of peace? Madagascar: The ROTARY Club of Antananarivo Analamanga Ainga and the Regional Tourist Office marked the day by distributing pots of honey in the Garden of Antaninarenina. Traditionally, honey is a symbol of abundance and wholeness in the Malagasy society. Togo: Togo- WANEP in collaboration with the Peace and Security Network for Women in ECOWAS held a round table to involve women in the peace process and development in Togo and elsewhere. Rwanda, Burundi and DRC: Fifteen hundred young people from Rwanda, Burundi and DR Congo met in Goma to discuss peace. They took part in workshops on peace as well as a charity concert. Algeria: On the occasion of the international Day of peace, the wilaya of Mostaganem organized a ceremony for the Emir Abdelkader prize, given to three personalities who contributed to the promotion of peace: Federico Mayor from Spain, Raymond Chretien from Canada and Lakhdar Brahimi from Algeria. Dungu, Haut-Uélé, DRC: Over eleven thousand young students from Dungu in Haut Uélé province were sensitized on the culture of peace, during a workshop organized by the Youth Forum for the development of Dungu. 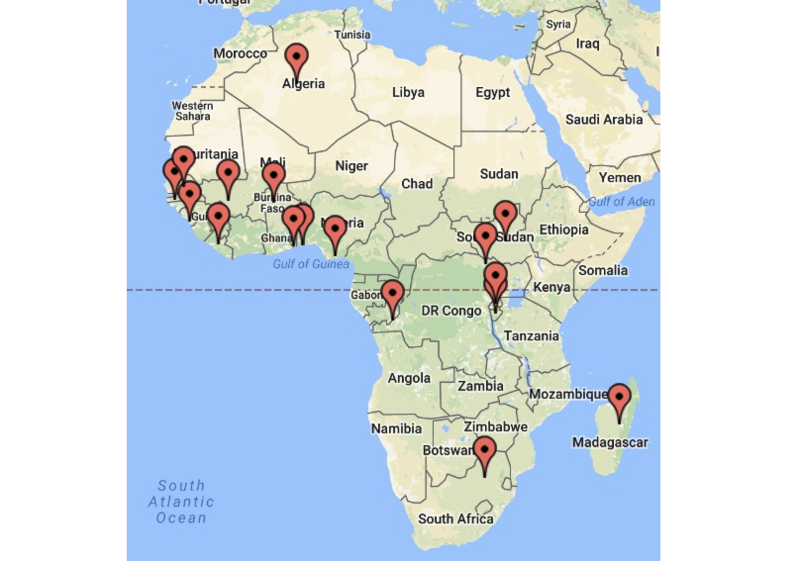 Guinea: The Convention of non-state actors of Guinea ( CANEG) and the African Crisis Group (ACG), two organizations of the civil society, organized a forum on peacebuilding in Guinea. Benin: The executive president of the Pan African Social Prospects Centre, Albert Tevoedjre, called on Africans to learn to live together with a view to establishing lasting peace on the continent. Nigeria: In collaboration with Edizwine Bar, the Coalition of youth leaders of the Niger Delta organized a peace march with a concert featuring top talent and regional artists. South Sudan: The United Nations’ Funds, Programmes and Agencies, and the peacekeeping mission organized a number of events across the country, in collaboration with the National Platform for Peace and Reconciliation (NPPR) and other non-governmental organisations; alongside the launch of the 100 days of peace activism; a platform for all voices calling for peace, healing, and reconciliation to unite and send powerful messages to leaders and calling for a peaceful resolution to the current crisis. Liberia: Delivering the keynote address at the indoor ceremony of the International Day of Peace held at the City Hall of Monrovia, The Executive Director of the Peace Building Office, Edward Mulbah, said that while Liberia had made tremendous progress made over the years to address the root causes of the 14 years of civil war, it was important to know that there were still challenges. Rwanda: According to the National Unity and Reconciliation Commission, the day brings together several non-governmental organisations, international peace organisations, religious leaders and the local communities under the theme, “Building Blocks for Peace: The Role of the Youth in Promoting Sustainable Peace and Development.”. South Africa: In partnership with UN Volunteers and ACCORD, students from Boston Media House and the Tshwane University of Technology interacted with peacekeepers in gaining a better understanding of the work of the UN in conflict resolution, peace and security.